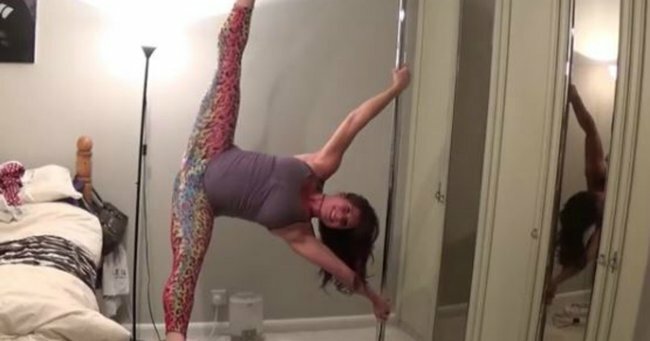 Pregnant woman pole dances while in labour. 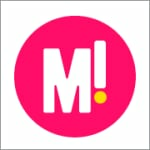 IN LABOUR. Heavily pregnant Kat Bailey has showed off one of her favourite pole dancing moves during her labour. “Got a few hours before we go to the hospital so thought I’d do some pole between contractions,” she posted on Facebook. The pole dancing instructor from the UK managed to hold herself upside down and then she did the splits with her legs in the air, with her body parallel to the floor. The video of the stunt has been watched over 50,000 times on Facebook. “I thought I would do some pole, just to show that I still can,” she said in the video. The mum-to-be, who runs a pole dancing fitness studio in Nottingham England, has been pole dancing for six years and she’s not about to stop now. Bailey lists the “Iron X” move among her favourites, along with the “Illusionist” and “Skydiver”. Following the video post, many have been posting their well-wishes for baby Bailey. “You are actually amazing Kat…wishing you good luck and sending loads of happy thoughts,” said Kathryne Garton. Another Facebook friend, Zoey Gritto, said she was screaming at the thought of pole dancing between contractions. “Not a chance on earth I’d have been doing this,” she said. We can’t wait for the next video instalment.